Originally from South Africa, Monique Van Willingh is a musician, educator and advocate for social justice through youth development and teacher training. In her position as Director of Music and Social Change Programs at Longy School of Music of Bard College, Monique supports the Longy mission of preparing students to make a difference in the world. She oversees Longy’s social justice, community and education programs. These include the Sistema Side by Side and Summer Academy Programs, the Master of Arts in Teaching Program, the Music as a Healing Art Program, as well as Longy’s Teaching Assistantship Program. 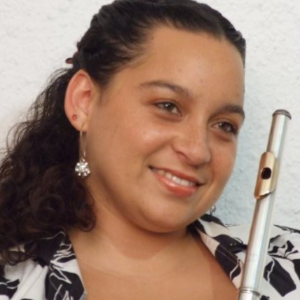 Monique is a graduate of the Sistema Fellows Program at the New England Conservatory of Music, where she explored the Venezuelan El Sistema Music Program model. She then completed her Master of Arts in Teaching Degree at Longy School of Music of Bard College situated at the Youth Orchestra LA (YOLA) at Heart of Los Angeles (HOLA) after school youth program site. Returning to the HOLA family as Music Director just over a year later, Monique was dedicated to inspiring and empowering students to become outstanding musicians and leaders in the community, through embodying the values of empathy, support, respect, courage and brave communication. The HOLA Music Program serves over 250 youth and it was Monique’s greatest joy to lead this program as Director for 2.5 years. Prior to her current position, Monique directed the Longy Master of Arts in Teaching Program hosted on site at HOLA. Monique is now excited to deepen her impact as an arts and education leader by supporting the music education field through teacher development and exploring processes for safe and courageous dialogue around equity, access, collaboration and socio-cultural awareness.